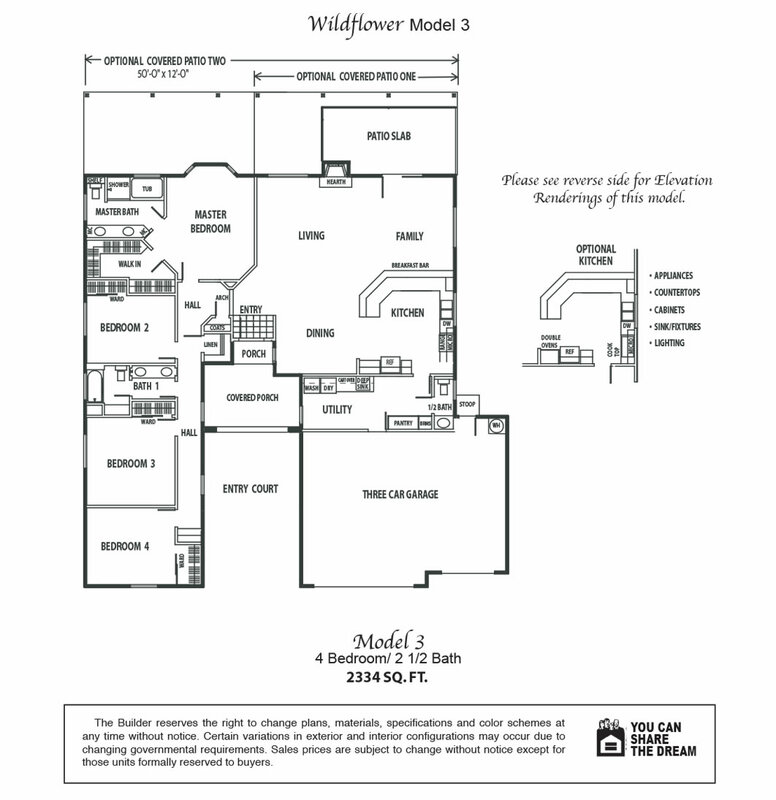 Plan #3 is 2,334 square feet with four bedrooms and two and a half bathrooms. It has a large entry court with a covered porch leading to the front door and a three car garage. The spacious kitchen features a large counter with a breakfast bar that opens to the family room and living room making it perfect for entertaining. There is a utility room off the kitchen that includes a half bath and oversized pantry. The master suite with its coffered ceilings, large walk-in closet and lavish bath complete this home.